In terms of presents and cake, leap day babies can have their pick between February 28 and March 1. But legally, things are a bit murkier in non-leap years. Some federal and state agencies consider February 28 the birthday, so leapers can go ahead and start collecting those sweet, sweet Social Security checks before the calendar flips over. Other agencies take a narrower approach. To get a driver’s license in some states, for instance, February 28 is technically still a day before the birthday, so in a non-leap year, a leapling would have to wait until March 1 to get behind the wheel. 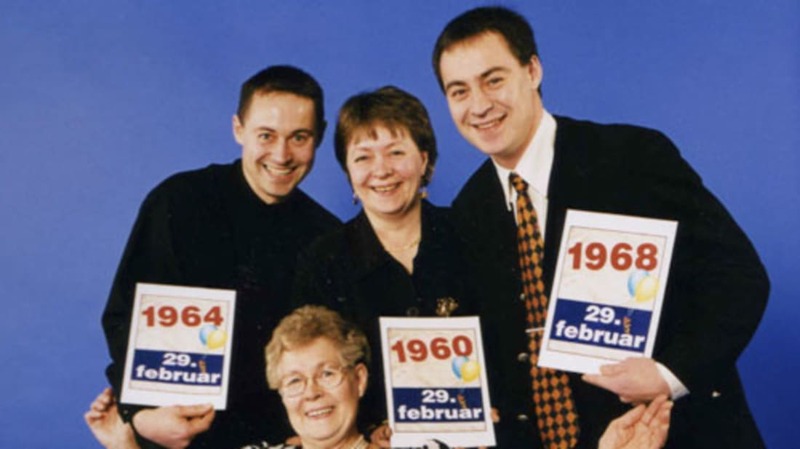 Photo: Heidi, Olav and Leif-Martin Henriksen of Norway, who were born on February 29 in 1960, 1964 and 1968.